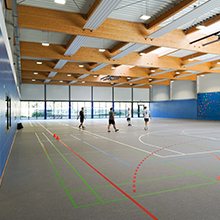 Are you looking for a sports floor for your sports hall? Our references speak for themselves. 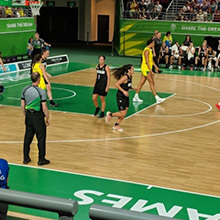 Over 10,000 installed sports floors in sports halls around the world. May we invite you to take a tour through some sports halls? 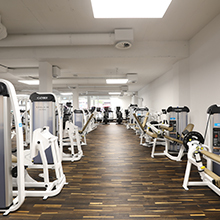 HARO Sports Parquet is available in four different wood species: Canadian Maple, Beech, Ash and Oak. In principle, every suitable covering, such as linoleum, PVC or rubber, can be used with a HARO sub-construction. HARO has always thought ahead more than others: concerning floors and now also walls. HARO PROTECT protective walls are at top of the game. HARO is the only sports floor manufacturer world-wide that offers certified portable sports floor with a special patented interlocking system. 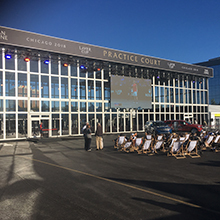 A portable outdoor court that can be played on whether the weather be dry or wet.